The intent of street photographers varies, yet a central motif is the authentic depiction of people in all their strength and vulnerability - without contrivance. Ideally, this pursuit of decisive moments from the streets of New Delhi-to-New York City reminds us that differences in race, heritage and language should never be an impediment to respect and dignity, compassion and tolerance. 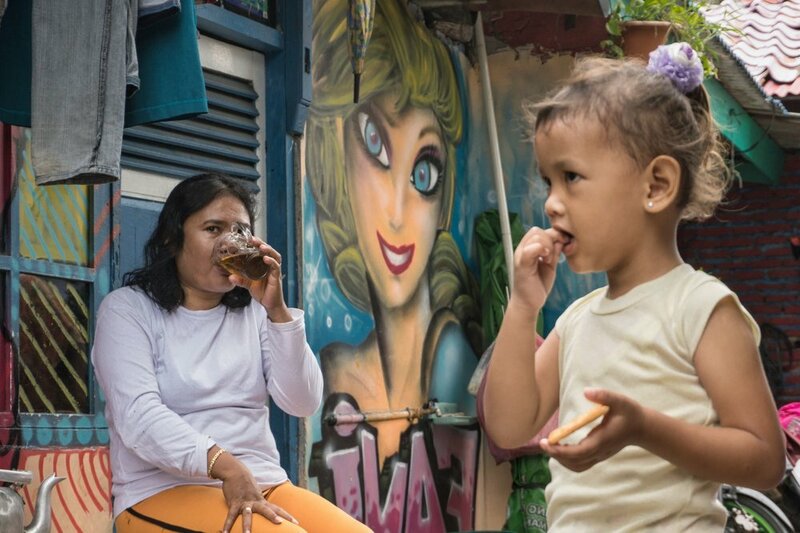 Boy Jeconiah documents the streets of Jakarta, and he does so admirably. Many people may not realize that Indonesia is the world’s fourth largest country in the world, based on population. Jakarta is the nation’s capital, and sits on the northwest coast of Java. The city of 10 million people is historically a mix of cultures: Javanese, Malay, Chinese, Arab, Indian and European. In other words, Jakarta is a happening place with a vibrant street life - and Jeconiah is in an ideal setting for his style of photography. The 45-year-old primary school art teacher recognized his affinity with street photography five-years-ago. 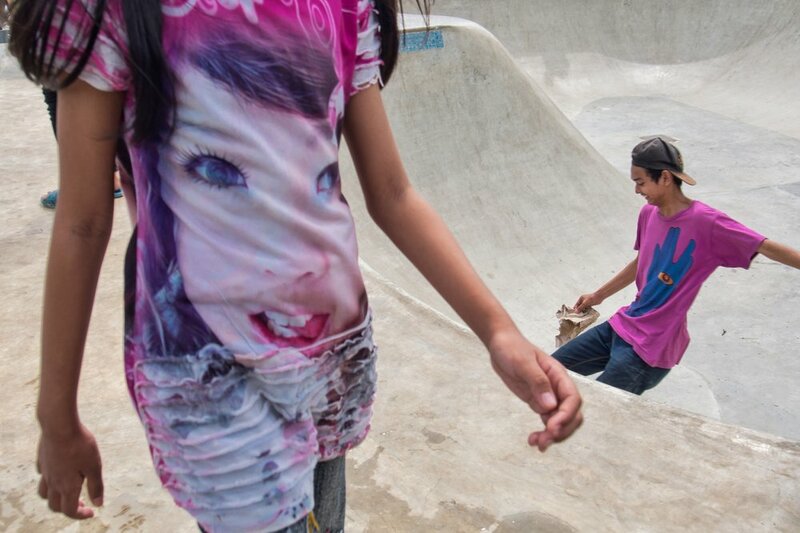 For Jeconiah, there’s also the matter of reflecting the reality of the streets without pretense. Jeconiah has not given up his day job as an art teacher, but photography is a hobby that is assuming more and more prominence in his life. So many street photographers attribute the influence of Henri Cartier-Bresson - and with good reason. Jeconiah is no different. However, he is also quick to recognize his father as the most significant influence in his life. And his children are a close second for him. Family is very important to Jeconiah. When Jeconiah steps away from teaching duties to pursue street photography, he relies on either a Sony or Olympus camera. Like all street photographers, Jeconoah is open for suggestions when he’s in the field, preferring spontaneity to contrivance. Yet he also knows that some times the light is the dominate factor in the composition, and it’s a matter of anticipating when “actors” just naturally step into the scene and hit their marks for the discrete street photographer. For post-production, Jeconiah works fast and relies on software from his cell phone - such as Snapseed. Some times he uses Lightroom. Jeconiah is passionate about street photography, but this only explains one facet of his character. First and foremost, he is a teacher.